ABM Display Advertising - Targeting the right accounts and the right roles with the right messaging at scale. 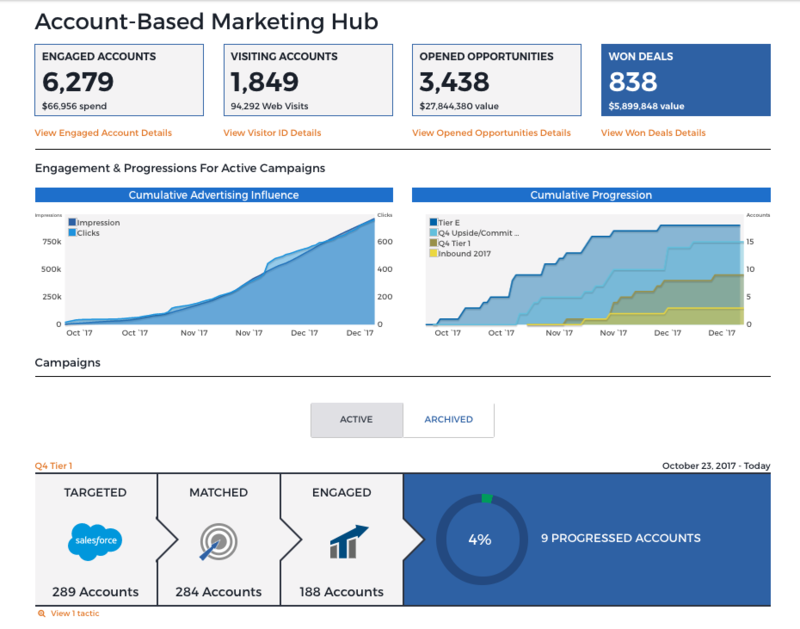 ABM Analytics and Reporting - Providing insight into account engagement and progression across the marketing and sales funnels. Support - The Terminus support model is phenomenal. They are dedicated to customer success, and they work closely with their customers to drive real business outcomes. Reporting capabilities is minimal at this time. Looking forward to the new ways we can report and measure with the features in their new platform. Limited to 500 accounts in each tactic makes it challenging to segment audiences when your criteria exceeds 500 accounts. We have to get creative with existing fields in SFDC and have had to add new fields in SFDC to get to the right counts. Would like to see bulk editor capabilities for reviewing and editing ad landing page URLs. Salesforce is a great solution as well but it is extremely expensive and not user-friendly. Unlike Sales, Terminus offers a more out of the box solution to cater to sales teams. If you are looking for an affordable solution that is user-friendly, tryout Terminus, but definitely look into Salesforce as well. The Terminus Dashboard gives you an overview of engagement, progression, and won deals for all your active campaigns. You also have the ability to see performance of individual campaigns and tactics within those campaigns.